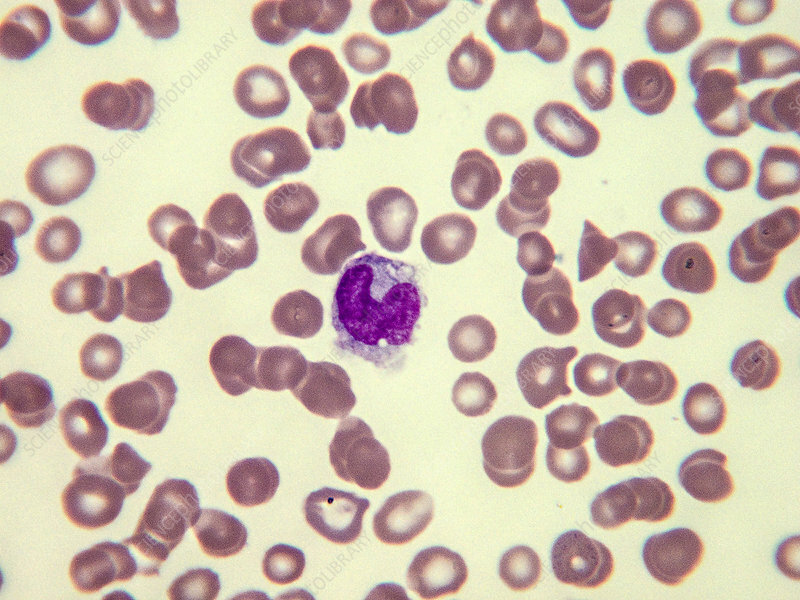 Normal myelocyte with U-formed large nucleus and sparse basophilic clear or slightly granulated cytoplasm. Light micrograph, Wright-Giemsa stain. Magnification: 100x.